Menzingen has sent to all the priests of the SSPX this circular letter (sent by the Abbot Bouchacourt in France). It invites participation in the Jubilee of Pope Francis. For helping those who cannot travel far, Menzingen tries to prove that (on 6 attached pages) this participation in the Jubilee is not immoral, since the Church still held Jubilees… ” QED. Of course, Menzingen recognizes that this coincides with the 50th anniversary of the Second Vatican Council, but this is only an accident, which does not contradict anything! Except that Menzingen has forgotten its moral theology,: an act good in itself (participate in a Jubilee) can become bad due to the circumstances that surround it, or accompany it (meaning the celebration of the Second Vatican Council). They learnedly assert that this circumstance affects in no way the essence of the Jubilee This is in complete contradiction with the statements of Pope Francis,who said himself that this Jubilee was an opportunity to celebrate the Council… Menzingen visibly takes the faithful for fools. I have to go to an independent Tridentine Mass right now. the letter is long, mostly about the history of indulgences justifying this Jubilee Pilgrimage of “Opening Doors”. The brief comments by the French district seem to me to accurately express the heart of the letter. I can try to translate the entire letter if you wish, however, running it through Google Translator from French to English will probably give you most of it. It will just take me some time to translate the entire thing for you, so let me know what you wish. In other words, Menzingen says go ahead and get the indulgences by participating in the Jubilee, even though it is permeated with Vatican II. 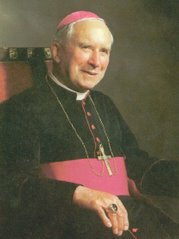 My personal opinion is that when Archbishop Lefebvre participated in the Jubilee Year to gain that years indulgences for his priests things were not even as bad as they are now. The question is, is the Holy Spirit still giving Graces by the means of skeleton vestiges of the ceremonies of the Roman Catholic Church or not? And how do we know? Thank you for your willingness to translate the whole thing. Your comments are sufficient. God bless.